Quality service is our specialty. We are here for your families needs. 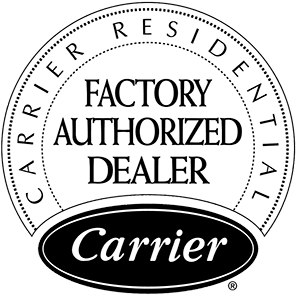 Taconic Heating and Cooling Corp is proud to offer the most desired product line in our industry, Carrier. 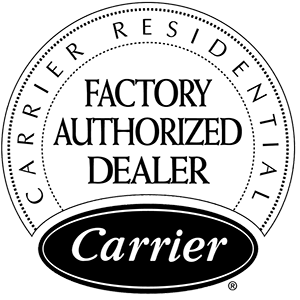 We are a factory authorized dealer, with specialized training and certifications on the full Carrier line of heating and cooling equipment. Because we are an authorized dealer, Taconic Heating and Cooling Corp is able to offer you the best rebates straight from the factory, in addition to our dealer specials that are available to you. Call us today to learn more. Located in Cortlandt Manor, New York, Taconic Heating and Cooling Corp. is dedicated to providing the best air-conditioning and heating installation service and repair for you, your family, and your business. Taconic Heating and Cooling Corp. offers you exceptional service from our experienced technicians. With more than 40 years in both the heating and cooling business, Taconic Heating & Cooling Corp is dedicated to providing the best possible service for you and your family. You can count on us to provide you with a system and solution to fit your family’s needs. We pride ourselves in being flexible and diverse, able to adapt to any challenge and leave you 100% satisfied when the job’s done. We would be happy to answer any of your heating & air conditioning questions! Call or set up an appointment* today! *Emails are answered within 24-48 during normal business hours. Because we have installed many systems throughout the area (we service Westchester County, Putnam County, Dutchess County, Fairfield County, and Briarcliff and Cortlandt, NY), we have earned a reputation for doing the job right—not the second or third time around when you have a glitch in the system, but the first time around! Not only do we back up what we say, but our technicians attend factory-authorized trainings bi-annually. This allows them to stay updated on the latest technological advancements, making sure you get cutting-edge and environmentally-friendly equipment servicing your home! Although we strongly believe that our work speaks for itself, please take a look at what our customers are saying about their experience with our different services. 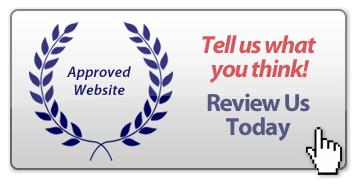 That way, if you need some more assurance, see what real people who’ve used our services have to say, and see how satisfied they are with our heating and cooling repair and installation offers! If you are in need of repair for your heating and cooling system within the Yorktown, New York and surrounding areas, please don’t hesitate to reach out to us. We are proud to provide our services throughout Westchester County, Putnam County, Dutchess County, Fairfield County, and Briarcliff and Cortlandt, NY. Below you can find more information on the services that we provide. You can find all our relevant contact information here and would be happy to answer any of your heating and air conditioning questions. Call us at (914) 734-9300 to set up an appointment today, or send us an email! Emails are answered within 24-48 business working hours. We look forward to hearing from you! We’ve all been there: there’s nothing like a nice summer day when you’re relaxing in the park, having a BBQ with friends and family: it’s hot and sunny and perfect. But when you head back home and your AC unit is broken, that great summer day can quickly lead to a miserable household. We understand how hot and humid it can get during a New York summer, which is why we aim to provide you with a cooling system that just works. If you’re having any issues, however, don’t hesitate to get in touch with us for repair services. Whether it’s a common issue like a refrigerant leak or a sensor problem, our team will get it solved in a jiffy. If it’s simply a lack of maintenance, we’ve got you covered there, too! We also provide service for broken or malfunctioning heaters. We can provide heating repair or heating maintenance services through our expert contractors. Even if it’s not yet winter, we’ll make sure your furnace unit is ready for those chilly winter months so you don’t have to suffer from a freezing night when your heater breaks down. From malfunctioning thermostats to noisy units, we’ll make sure your units are working as they should be once done! Best of all, throughout the entire HVAC repair process, the Taconic Heating and Cooling Corp. team makes sure to use only the highest quality HVAC parts when servicing your units. We don’t cut corners and get cheaper materials: we use quality parts to ensure a long lifespan of your HVAC system. We’re proud to work with the world leader in home air conditioning and heating equipment: Carrier. With them, we’re able to provide professional and speedy HVAC service, which allows your heating and cooling systems to work at peak efficiency. Not only do we offer repair services for your HVAC system, but we also provide replacement and installation services. With specialized training and certifications on the entire Carrier line, the Taconic team is gladly able to repair and service the following HGVAC brands: Amana, American Standard, Armstrong, Bard, Bryant, Day and Night, ICP, Goodman, Lennox, Payne, Trane, and many, many more! That’s right—it’s all part of our aim to provide you with exceptional service that goes above and beyond your set standards. Our reliable HVAC experts are all dedicated to providing you with the best experience possible when it comes to making sure you have the most comfortable indoor heating or cooling experience available, so please don’t hesitate to get in touch with us if you’re in the Cortlandt, NY area. We understand how the hot sun beats down in New York, and that a broken air conditioner can lead to a miserable household. We aim to provide you with an air conditioning unit that you can trust to work on the hottest of days. If you have a problem with your air conditioner unit, don’t hesitate to contact us for repair services today! Is your heating or cooling system not working properly? Give us a call at Taconic Heating and Cooling Corp and we will provide you with the solution. Our technicians use only the highest quality HVAC parts in the servicing of your HVAC system. A broken furnace or furnace problems can also cause discomfort in the home. Trust our company with your furnace replacement and allow our heating contractors to take care of your family or business’ heating service, heating repair, and heating maintenance needs. Taconic works with the world leader in home air conditioning and heating equipment, Carrier. We provide quick professional HVAC service to keep your system operating at peak efficiency. It’s all part of our tradition of exceptional heating and air conditioning service – assuring your complete satisfaction guaranteed. We can perform Carrier heating repair and Carrier air conditioning repair, replacement, or installation. As one of the best heating and air conditioning companies in the Corlandt Manor, NY area is dedicated to providing the best possible indoor comfort solutions for you and your family. For heater repair, AC repair, and more, contact Taconic Heating and Cooling Corp – a reliable New York HVAC repair expert. Call Now for Fast, Reliable Heating & Air Conditioning Service in New York!